What Technical Specification document contain? What is technical specification? Technical requirement pertains to the technical aspects that your system must fulfill, such as performance-related issues, reliability issues, and availability issues. Technical specifications documents(TSD) plays a major role in conveying understanding of the project to any reader in the software industry. There are usually multiple types of users/audiences who refer to technical specification document.. 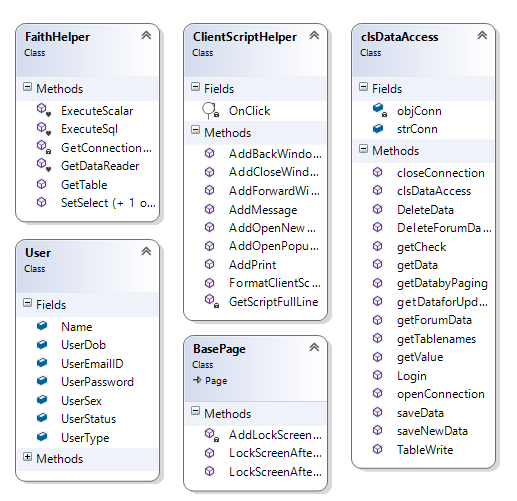 Deployment environment: This section should include complete detailed diagram with explanation about deployment model. Depicting the overall architecture:this section i am explaining below..
Technology Stack you are proposing with licensing considerations(if any):This section explains use of technologies,languages and databases and how they fit in this project along with licensing details if any. 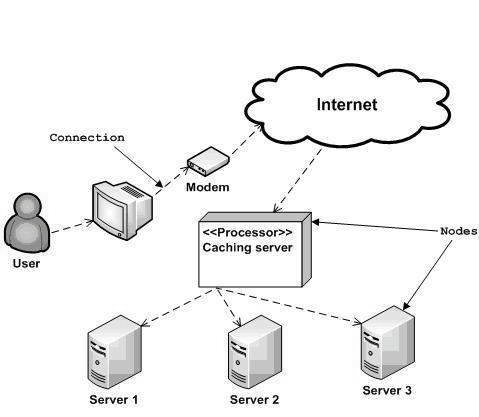 Development team is real audience or user of the technical document, they will be interested in knowing how system has been developed on low level like how classes modules packages or namespaces are written and related to each other. So, the document should give some detailed insight about how each component/module works, their dependencies, reuse , performance considerations and best practices. Well, i also do believe that taste changes from organization what all needs to be provided. Thinking honestly ,I experienced list of below sections are required in TSD. 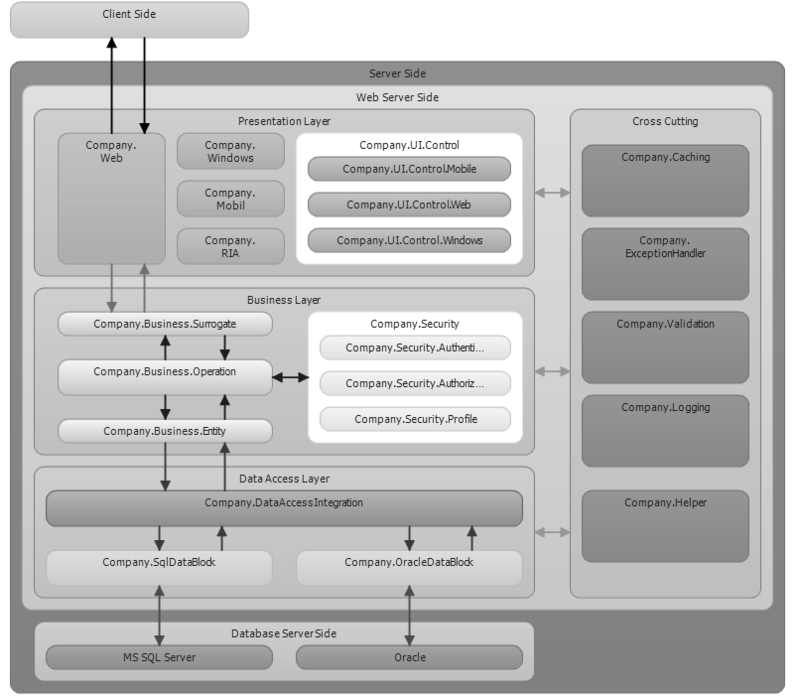 Component diagram/architecture: This section gives details about components of each layer and their interaction,you can use UML/Visio or any free tool to design components,classes and interfaces interaction and dependency. 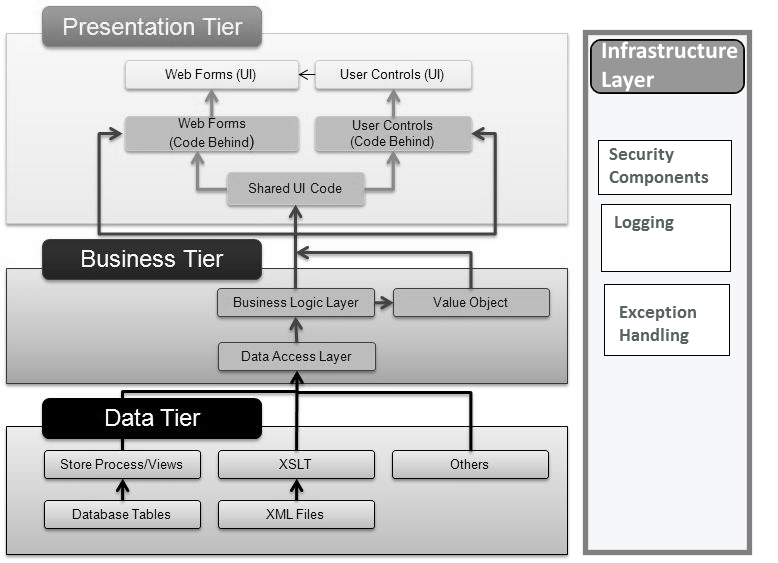 Tiered and Layered Architecture :Here you should show layers of the application and make sure that you are explaining whether your application layer can be deployed on multiple services independently. 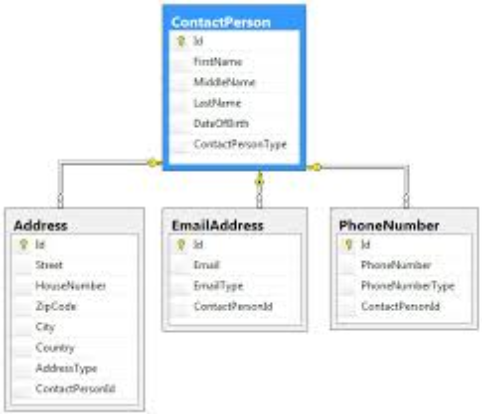 Database diagrams(ERD): You can use Database server or other architect tool for database diagram generation and include them in TDS . 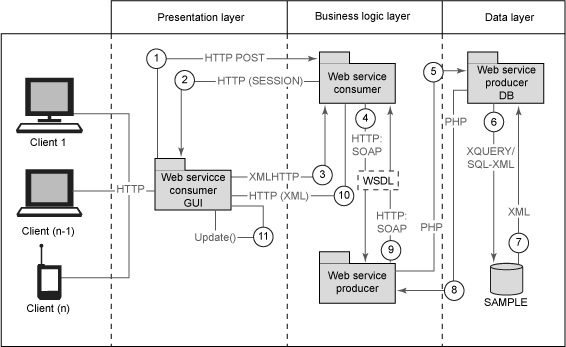 Here you can show ERD diagram which will include all database table with relation..
How exceptions are handled: Here you will explain Exception handling in detail like whether you are using any utility like log4net or custom application level exception handling .You should document every exception that might be thrown by your code, including those in any methods that you might call. A technical specification is a document that defines a set of requirements that a product or assembly must meet or exceed. A product or assembly that does not meet all of the specifically expressed requirements does not meet the specification, and often is referred to as being out of specification or "out of spec."